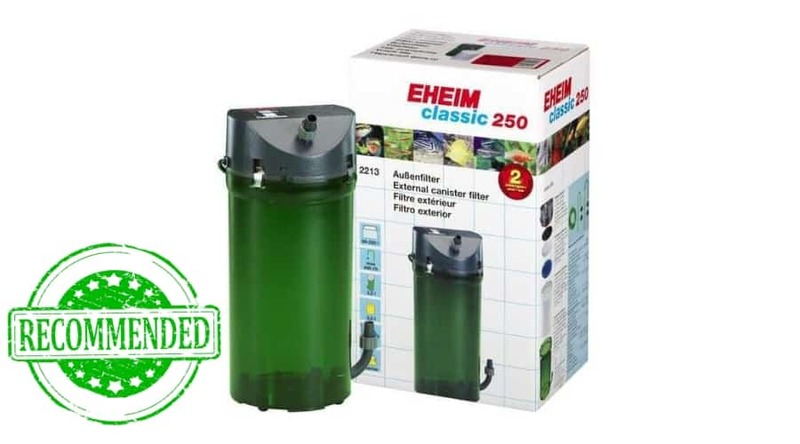 Are you the proud new owner of a canister filter in need of some cleaning? 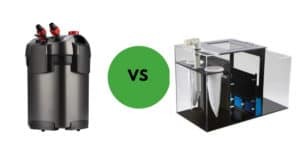 Since I have owned one of one of these, I have been asked on multiple occasions, “how often do you clean a canister filter?” Most of the time it’s from people who have never had a tank before or those who are looking to switch to a different type. Keeping a clean tank is something that I feel is necessary and vital for the health of your beloved fish. Since I am a supporter of clean tanks, I want to share this “how to” with you so you can keep a clean tank too. 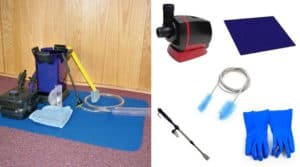 Here is a short list of what you are going to need when it comes time to get down and dirty with your filter. Now I am going to fill you in on how to clean a canister filter. 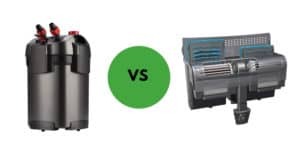 This method can work for a lot of different models, more specifically for the Hydor model 450, but if you need to know how to clean a dyson canister filter or how to clean a marineland canister filter, check the manufacturer’s instructions. 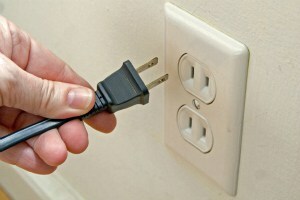 The first thing you are going to want to do before you touch anything else, is turn off the power to the filter. 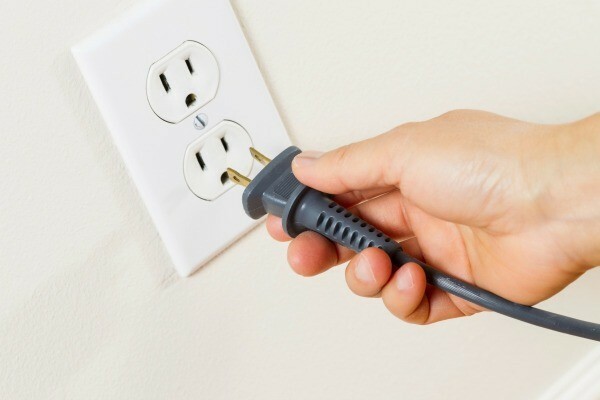 Unplug it from the power socket and check the outflow tube. If there is no water coming out of it, it is safe to proceed to the next step. 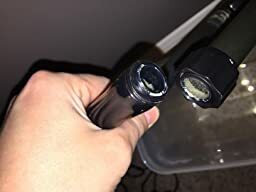 After you have unplugged your filter and there is no more water in the tube, turn the shut off valves horizontally and to the “off” position. 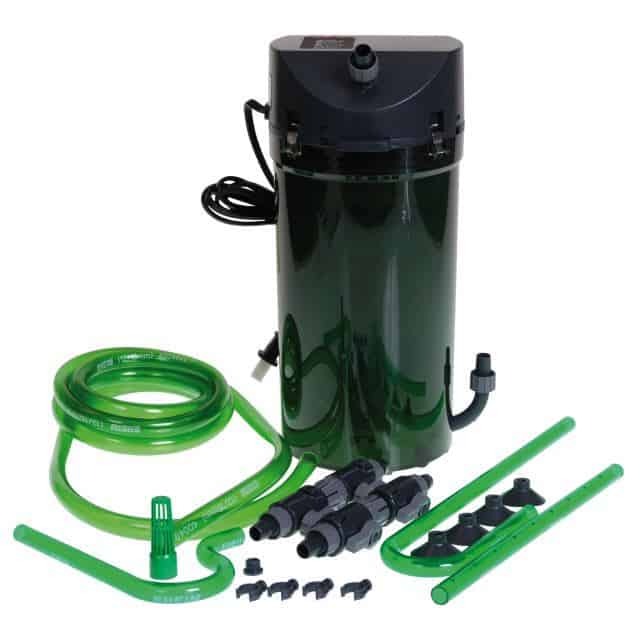 This prevents water from spilling out when you disconnect the tubes from the motor housing. Gradually turn the locking nut off of the threaded pipe until it comes loose. Water that is trapped in the motor housing will come out, so be prepared. It won’t be much water, but after it’s out, you can set the pipes aside. 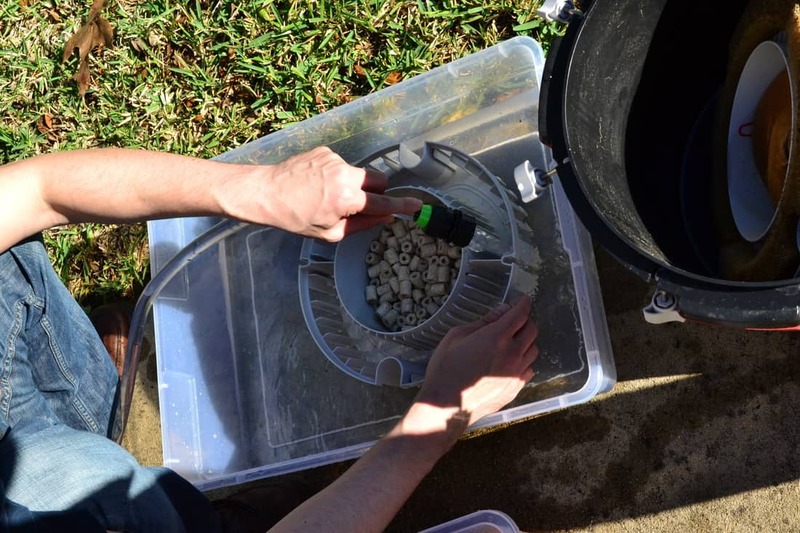 This step requires you to transport the filter to an area in which you aren’t afraid to get a little wet. I would do this at the kitchen sink or outside near a hose. You’ll need tigh pressure water. Personally, I like to do this in my sink so that I am not having to transport the filter too far from where it belongs. In order to do this, you are going to need to release the locks on all four sides to remove the housing. Again, some water may spill out, but it’s okay. Gently remove the housing and set it aside. To better prepare for this, grab a towel and lay it down around the filter. If more water than expected spills out, the towel will catch it before it can flood your counters. Pro Tip: Let the remaining water drain out from the housing to avoid messy spills and puddling on your counters. 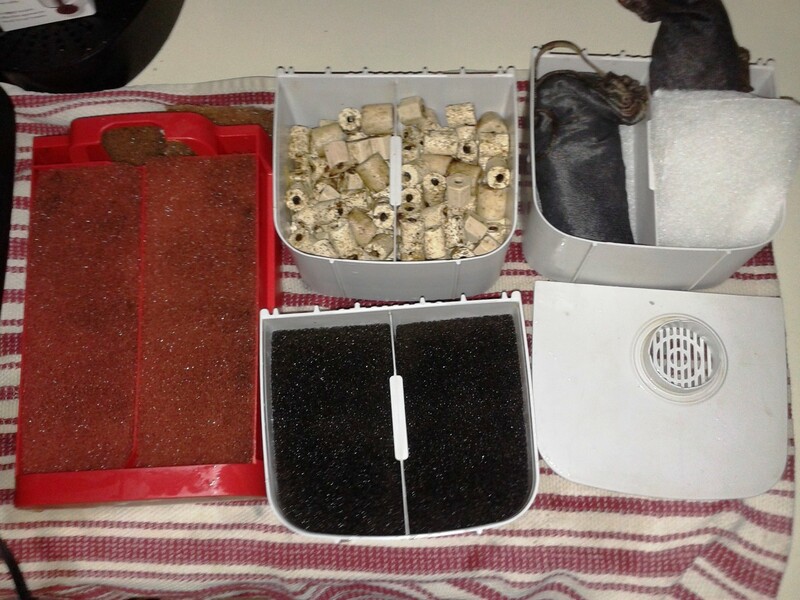 For this step, you need to remove everything in your filter except for the trays that hold your biological media. These need to remain submerged in water while you clean the rest of the filter. This prevents the loss of beneficial bacteria needed for your fish. 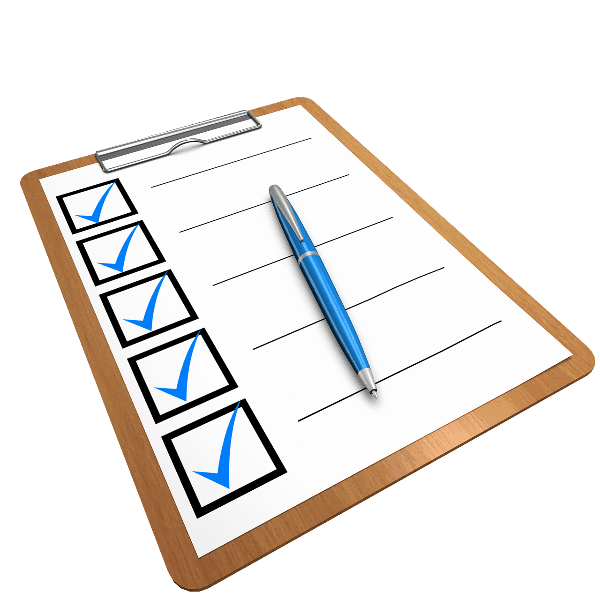 Keep these items close to you since you will need to put them back in very quickly. Using your sink or hose, rinse the media trays you removed and thoroughly clean them with an old toothbrush or scrub pad. This will get all of that gross, slimy algae off of everything. The filter pads also need a good cleaning. Take your high powered hose or sink faucet and give them a good rinse. This will not affect the beneficial bacteria that is in your tank since the housing is what holds the bacteria. Very carefully remove the impeller from the motor housing. You cannot be rough with it because the ceramic shop is extremely fragile and can be broken easily. You can then carefully clean the impeller. I have broken impellers before while cleaning them because they are so fragile. 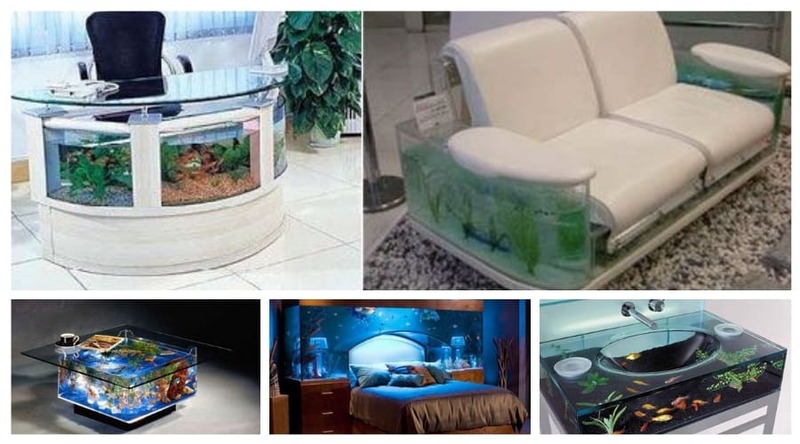 Luckily, you can get replacements almost anywhere that sells aquarium supplies. This is a vital step because not doing so can affect the performance of your filter and possibly damage the motor because of the resistance the gunk on the impeller is causing. 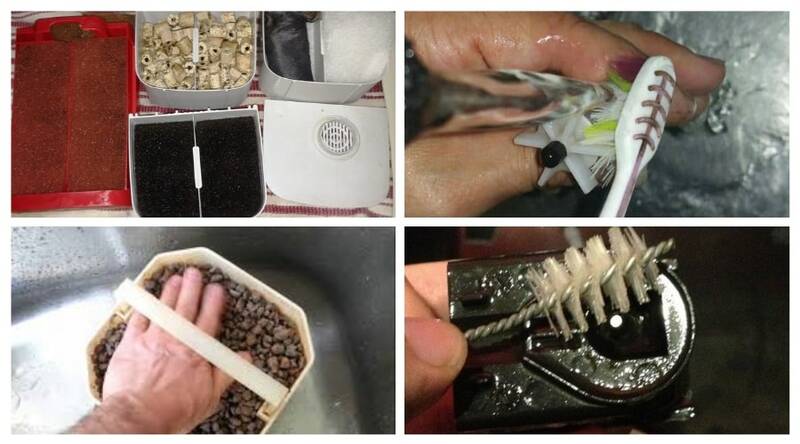 You should also clean the plastic parts around the impeller, including the shaft. I would use the toothbrush for this step. 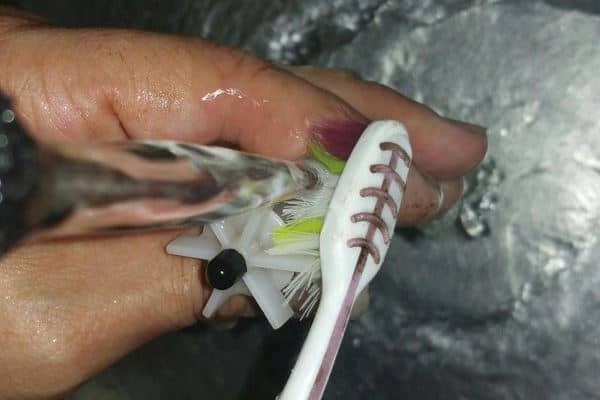 A scrub brush may put more pressure on the impeller, causing it to break. This is another very important step. Take a q-tip and stuff it up in the hold that the impeller sits in. The sides of this hole can collect a bunch of gunk, resulting in a malfunctioning impeller and a lack of performance in your filter. You wouldn’t believe how much debris I have pulled out of my canister filters before. It’s quite nasty. For this step, take out your biological media trays as fast as you can and set them aside. You can set these in a bucket of aquarium water if you fear you may lose your beneficial bacteria, but it’s not necessary. You can now discard all of the water in the canister filter. Do not reuse this water. Pro Tip: MOVE QUICKLY! Your beneficial bacteria can be lost because it is exposed to air. 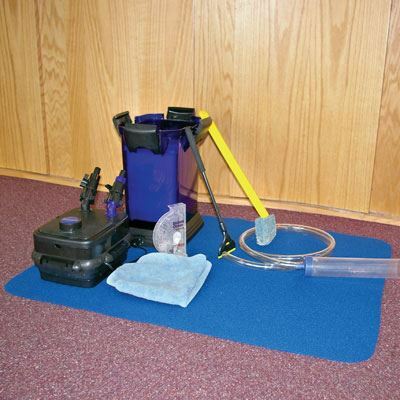 If required, clean the canister filter itself by spraying some high pressure water into it and rinsing it out again. 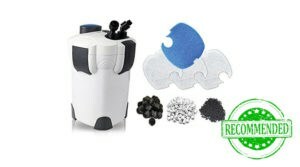 You don’t want any type of algae or debris still in your canister when after you clean it. You can also use your hand or a really clean cloth to wipe it down to ensure you have gathered all of the slime and debris. You can now begin to put everything back in the canister filter as quickly as you can and lock the motor housing in place. 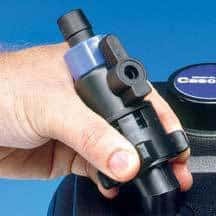 You can then bring your filter back to the aquarium and screw the shut off valves to the threaded pipe on the motor housing. First, turn the valves back to the “on” position. Since there is trapped air inside, the canister won’t fill back up on its own. The easiest way to do this without making a mess is to lift the front locking bracket up and the canister will then begin to fill up on its own. Make sure to watch the water level. As soon as it hits the motor housing, lock the bracket back in place. Lastly, plug your canister back in and prime it using the top priming button a few times. Ensure that everything is working as it should. If isn’t, take it back apart and make sure everything is in its place. Make sure the plug and your hands are dry. We don’t want anyone getting electrocuted. This concludes the “how to” for cleaning a canister filter, I hope you enjoyed it. 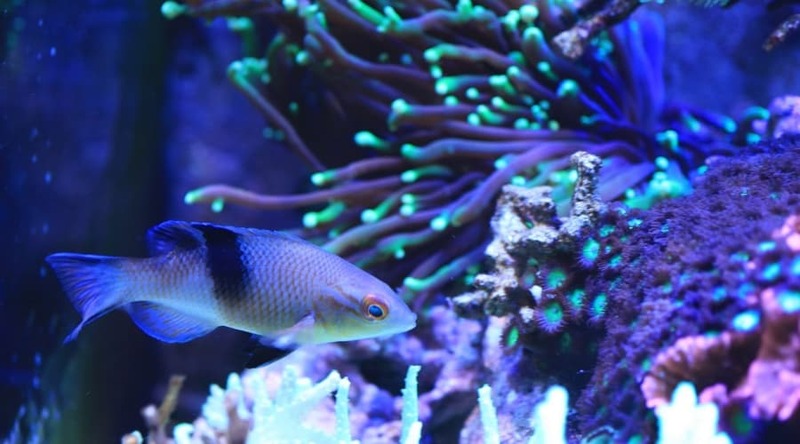 Keeping a fish tank clean is very important and ensures that your fish are healthy. I wouldn’t want to swim around in my own filth all day, would you? 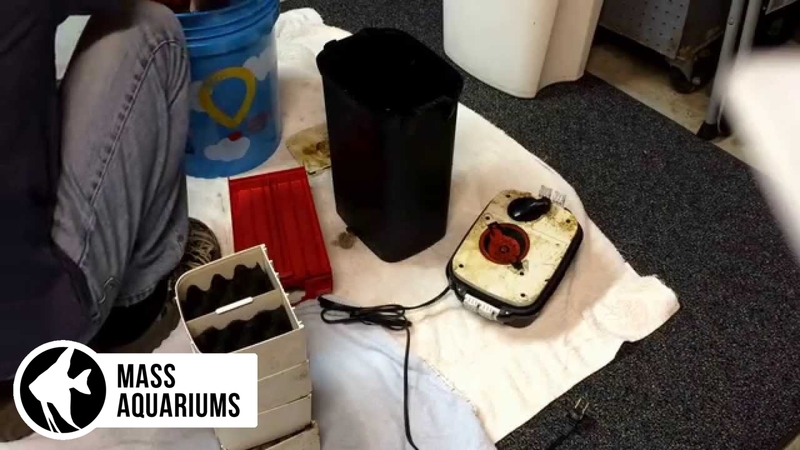 We would love to hear what you have to say in our comment section and as always, share with your aquarium loving pals if you liked the tutorial!